So far we’ve outlined how you can go about collecting driftwood as well as cleaning and sterilizing your collected driftwood for use in the home aquaria. The driftwood you get from this process will likely float when you add it to your aquarium…thus you will need to remedy this before you can use it in your aquarium underwater. Soaking the pieces for a few weeks to saturate them with water can work, but can be time consuming. Additionally, not all pieces will take on enough water to achieve negative buoyancy. Weighing the pieces down with rocks during soaking can speed the process…but sometimes that’s not enough. Alternatively, securing the driftwood to stones is an easy way of keeping the driftwood in your aquarium underwater. There are several different methods for accomplishing this task. Most often, a small piece of flint rock is used for this purpose. It is flat and relatively cheap to obtain. 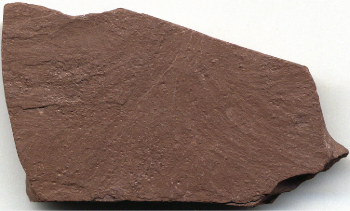 It is perfectly suitable to use a single slate flooring tile, provided it hasn’t been sealed or any other chemical added. Simply securing the driftwood to stones with monofilament fishing line or nylon thread is a cheap, easy, and effective method of keeping the driftwood in your aquarium underwater. 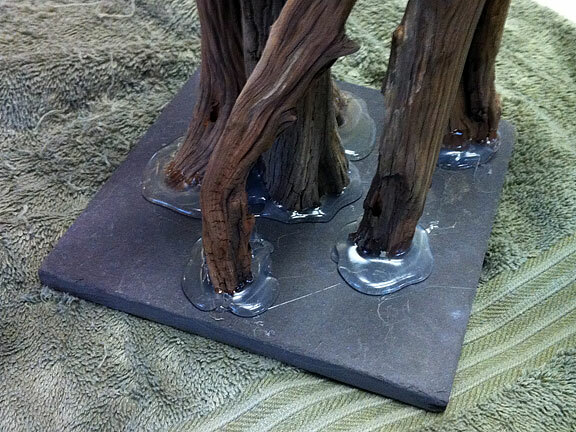 You can also secure the driftwood with two-part epoxy or silicone. Generally speaking these methods are limited to small and medium sized pieces of driftwood with a moderate amount of buoyancy. For larger or more buoyant pieces, it may be necessary to use screws or bolts to securely fasten them to stones. It would be prudent to find stainless steel bolts or screws to increase the longevity of your creation. 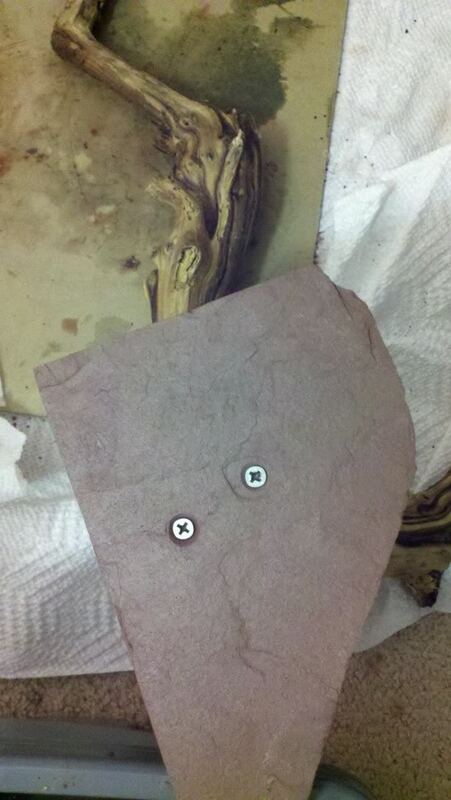 You will need a masonry bit to drill the hole through the slate.